Within its pre-1967 borders, Israel is an illiberal semi-democracy. It defines itself as “Jewish and democratic”, but, as its critics point out, it is “democratic for Jews, Jewish for others”. In the territories ruled by it since 1967, Israel is a military tyranny, applying one system of laws and regulations to Jewish settlers and an entirely separate one to the indigenous Palestinian Arabs. In Israeli public discourse, racist speech is extremely common even at the highest echelon of politics. Some of this high-level racist discourse is almost casual, such as Benjamin Netanyahu’s infamous “Arabs voting in droves” video (2) on election day, March 17 2015; or the “we are not Arab lovers” declaration of Isaac Herzog, leader of Israel’s Labor Party. (3) At the most obscene end of the range there are statements by senior politicians containing barely concealed calls for ethnic cleansing. The Congress also resolved to establish a bank to finance the activities of the Zionist movement. The bank was duly incorporated in London in 1899; its name was the Jewish Colonial Trust.8) Well into the 20th century, Zionists continued to describe their project unabashedly, in a perfectly matter-of-fact way, as one of colonisation. Later in the 20th century this usage became a public relations liability, and the term was replaced by various euphemisms. But the practice of colonisation of Palestinian land has continued unabated and is going ahead at full steam to this day. History will judge Israel’s apologists the way Theresa May is now judged on apartheid South Africa. The International Remembrance Alliance’s (IHRA) anti-Semitism code in full, including its list of 11 examples, means it now considers calling Israel “racist” a potentially racist act. 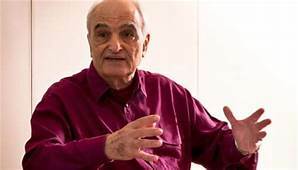 But the reality is that since the foundation of Israel – beginning with David Ben-Gurion’s “Drive them out!” order to the Palmach in the 1948 Nakba – racial oppression of Palestinians has been the norm. As Palestinian freedom fighter Ahed Tamimi has observed, Israel is afraid of this truth being known. And by adopting the full IHRA definition, Labour is helping to stifle it. But we shouldn’t be surprised: UK politicians have a long and inglorious history of protecting states practising apartheid. Notably, they have never been held to account for their support for white rule in South Africa. We were reminded of this recently when Prime Minister Theresa May visited Robben Island, where Nelson Mandela and many other anti-apartheid activists were imprisoned for decades. When asked what she had done to hasten Mandela’s release and the end of minority rule in South Africa, she squirmed awkwardly, before claiming “what was important is what the United Kingdom did”. What the British government – and May’s Conservative Party – did was not only fail to support Mandela and the African National Congress (ANC) but actively support the apartheid South African regime for years. Following the 1970 UK election, Conservative Prime Minister Ted Heath pledged to end the arms embargo on South Africa and resume military equipment sales to the apartheid government. In the 1980s, Conservative Prime Minister Margaret Thatcher resisted global pressure to impose sanctions on South Africa and labelled the ANC “a terror organisation”. In the same era, an aspiring young politician – future Prime Minister David Cameron – went on an all-expenses-paid trip to South Africa courtesy of an anti-sanctions lobbying firm, while members of the Federation of Conservative Students went as far as wearing”Hang Nelson Mandela” stickers. The UK is as deeply complicit in Israel’s apartheid system as it was in South African apartheid, if not more so. Adoption of the IHRA’s definition of anti-Semitism by the Labour Party – and the Conservative government, nine months ago – is just the tip of the iceberg. From its historical role in smoothing a course for the ethnic cleansing of Palestine by issuing the Balfour Declaration to its contemporary arms sales to Israel, when it comes to Palestine the UK stays true to its colonial past. Israel is afforded impunity despite its multiple crimes, such as the killing of over 160 Palestinians in Gaza since the Great March of Return began. The UK seeks to protect Israel from accountability in global forums like the United Nations, for example by refusing to vote for an independent investigation into the killing of 60 Palestinians on May 14 this year, a massacre dubbed the “Palestinian Sharpeville” after the 1960 murder of 69 black protesters by South African apartheid security forces. Regardless of Israel’s long-standing disregard for international law and grave human rights violations, Britain even gifted it a royal stamp of approval in June when Prince William made a symbolic visit to the country, contravening seven decades of British policy against official royal visits to Israel. History is repeating itself. Just as the UK government shielded South African apartheid in the past, it is giving political, economic and military support to Israeli apartheid today. In 2017 alone, the UK government granted more than 289 million British pounds-worth ($375.3m) of licenses for the export of arms and military technology to Israel. But in the end, British support didn’t protect South African apartheid from the reach of justice and equality. Similarly, the IHRA won’t protect Israel’s ethnocracy. Palestinians and their allies will continue to name the racial oppression they face under Israel for what it is – a system of apartheid. And history is already beginning to repeat itself in another, more positive, sense. Just as a powerful global boycott movement helped make South Africa a pariah state – in the process making a vital contribution to ending apartheid – the Palestinian BDS campaign is following in its footsteps. The BDS movement understands that freedom, justice and equality will not be handed down from above by the very same politicians who have tolerated Israeli apartheid for so long. It can only be won by pushing from the grassroots up. Thirty years from now, British politicians will be asked what they did to end Israeli apartheid. And though the UK’s complicity will no doubt be similarly whitewashed, history will judge Israel’s apologists the way Theresa May is judged now on South Africa. The Labour Party has accepted the International Holocaust Remembrance Alliance (IHRA) definition of anti-semitism. This represents a significant blow to anti-racists. The IHRA is an interstate organisation with a membership of only 31 out of the UN’s 193 states. Several of these are allies and arms suppliers to Israel. Other IHRA member states with a past and current record of domestic anti-semitism, such as Hungary and Poland, use their international support for Israel as a cover for their own racism. This is something quite acceptable to the Israeli state. Israel’s PM, Benjamin Netanyahu backs Hungary’s PM, Victor Orban. He openly supports “a Christian Europe”, to which the even further Right add a “White” prefix. In the 1930s and ’40s, many Jewish people living in Europe increasingly saw Palestine as a haven from the mounting anti-semitism that culminated in the holocaust and the death of 6 million Jews and many others in Nazi death camps. The UK and other governments’ lack of concern for Jewish people was highlighted when it severely clamped down on Jewish asylum seekers fleeing Nazi Germany in the aftermath of Kristallnacht in 1938, the mass killings following invasion of eastern Europe in 1941 and then the death camps set up after the Wannsee conference in 1942. Not able to gain entry into the UK or the USA, some tried to make it to British-controlled Palestine, only to be drowned at sea. This is similar to the situation facing today’s mainly Muslim refugees and migrants, who try to cross the Mediterranean. Many thousands have lost their lives. The UK has naval bases at Gibraltar and Cyprus, but these are there to back British military force in the region, not to rescue the victims of imperial actions and corporate greed. But the explicit aim of Israel’s founders was to create a Jewish supremacist state, in complete disregard for the overwhelming majority of people already living in Palestine. That is racist to its core. The method adopted was colonial settlement, backed by force. In 1948, Israel was founded through terrorism and the mass ethnic cleansing of Palestinians – the Naqba. Ever since Israel’s foundation, Palestinians have been systematically discriminated against, expelled from their homes, imprisoned, shot at, tortured and killed. All Israel’s discriminatory actions, laws and now the latest nationality law, which gives state racism a constitutional status, highlight its reality as an apartheid-type state. The murder on one day this year, May 14th, of 60 demonstrators in Gaza has been termed the Palestinian ‘Sharpeville’. This is in memory of the 69 black protestors killed by South African apartheid security forces in 1960. The parallels are only too clear. Would Labour have tolerated a Labour Friends of Apartheid South Africa? Yet the Israeli state was also one of the strongest supporters of Apartheid South Africa. This explains why, ever since the overthrow of Apartheid, South Africa has been to the forefront of the international Boycott, Divestment and Sanctions campaign (BDS). This is designed to emulate the Boycott Apartheid South Africa campaign, which contributed to the ending of the old regime there. RIC-Edinburgh, on the basis of our Scottish internationalist principles, supports the BDS campaign. By accepting the IHRA’s definition of anti-semitism, rejected by 40 different Jewish organisations in 15 countries, a Labour Party member could now be expelled for declaring Israel to be what it is – a racist state. However, this is not just an issue for the Labour Party. It is part of the continuous Israeli state offensive to give it a free hand in the ethnic cleansing of Palestinians, or their confinement to the ‘bantustan’ of the much-reduced West Bank and the ‘ghetto’ or mass prison camp of Gaza. People who have spoken up against Israeli state crimes have been targeted by various Jewish supremacist or Zionist organisations, which in the Labour Party include the Labour Friends of Israel (LFI). Not all Zionists are Jews. Tony Blair and Gordon Brown are prominent members of LFI. Non-Jewish Right-wingers find much to support in Israel. However, neither are all Jews Zionists, despite the claims of the Tory dominated Board of Deputies and the Labour Friends of Israel to speak for all Jews. We admire the Jewish Friends of Palestine and other Jewish organisations, which have shown their opposition to the racist nature of the Israeli state and its many crimes against the Palestinian and neighbouring peoples. Neither can we ignore the UK state’s role in the founding of Israel. It was the Scottish Conservative and Unionist, Lord Balfour who drew up the Balfour Declaration 1917. This cynical exercise promised a ‘Jewish Homeland’ in a Palestine, which had already been promised to Arabs for their support in the First World War against the Ottoman Empire. Nobody consulted the people living in Palestine. Balfour had a record, both when it came to clearing people off the land and promoting anti-semitism. In 1885 as Scottish Secretary he sent gunboats to Tiree to quell crofters seeking security on their land. The following year, Balfour became the Irish Secretary. Once again he used force, this time to quell Irish tenant farmers, earning the name ‘Bloody Balfour’. In 1905, Balfour, as Home Secretary, introduced the Aliens Act, which targeted Jewish refugees fleeing pogroms in Tsarist Russia. British supporters of the Balfour Declaration often wanted poor Jews to leave the UK and settle in Palestine. Again the link between anti-semitism at home and support for a Jewish state elsewhere is clear. Today amongst the tens of thousands of refugees fleeing repression are Palestinians. Israel has created a ‘hostile environment’, which Theresa May can only envy. And the UK government remains a major supplier of arms to the Jewish supremacist state of Israel and the Islamic supremacist state of Saudi Arabia adding to the misery. We support the work of the Scottish Palestine Solidarity Campaign, which has Moslem, Jewish, Christian and non-religious members and promotes Palestinian self-determination on democratic, secular and anti-racist grounds. Racist loudmouth, Katie Hopkins, Islamophobic Tory MP, Zac Goldsmith, suspended DUP MP Ian Paisley Junior, and neo-fascist Tommy Robinson support Israel’s self-definition as an ethnocracy. They clearly see this as a precedent for their own versions of an ethnic Britishness. Both Gordon Brown and Michael Gove worked on ethnic/ cultural tests before migrants can become British. David Cameron’s restricted franchise for the EU referendum revealed the extent of the UK’s acceptance of ethnic criteria for British nationality. On 12th September, all but one of the Tory MEPs voted at Strasbourg against Orban’s Hungarian government being sanctioned. Both Orban and May support apartheid Israel. In Scotland we have another important reason for rejecting the IHRA’s acceptance of racial or ethnic nationalism. During IndyRef1 the ‘Yes’ campaign championed a civic Scotland, open to all who choose to live here – including Muslims and Jews. The franchise for IndyRef 1 included all EU residents and 16-18 year olds. This was in marked contrast to the ethnic franchise for the Tories’ 2015 EU referendum. On the 6th September, as the Labour Party accepted Israel’s self-definition as a Jewish ethnocracy. Nicola Sturgeon announced that any future IndyRef2 will be open to all residents who choose Scotland as their home. We welcome this. In rejecting the IHRA and its apologists, we support the idea and reality of Scotland as a civic nation. RIC-Edinburgh seeks to break free from the clutches of the UK state, its British imperialist delusions, and its support for ethnic or religious supramacist regimes. Another Scotland is possible; another Europe is possible; and another world is possible.